Whether you are seeking a natural element for increasing the fairness or glow of your skin, or looking for an herbal remedy for dark spots, acne scars, wrinkles, pigmentation or sun tan, aloe vera is the best cure for all the skin-related problems. It contains beneficial compounds such as polysaccharides, lectins and mannans etc. Aloe vera works as an excellent moisturizer, exfoliator, as well as anti-aging agent for your skin. Depending on the skin type, you can make homemade aloe vera face mask. In this article, VKool.com will show you natural aloe vera face mask: 31 homemade recipes. The writing collected a list of aloe vera face mask recipes from reliable sources. In this post, you will learn on how to make an aloe vera face mask at home. Make a paste with 1 teaspoon of honey, a pinch of turmeric, some drops of rose water, and 1 teaspoon of milk. Next add this aloe vera gel to this solution and mix it well. Apply this paste on to your face and neck evenly for around 20 minutes. After that wash if off using cold or lukewarm water and pat dry using a clean towel in order to get glowing skin. Apply a paste of lemon juice and aloe vera gel on your affected area. Allow it on for 10 minutes and wash it off. Another option is to make a combination of the same and then apply the mixture with help of one cotton ball on your affected areas to cure them. Then, apply it on your sunburned areas. Rinse off using cold water after around 15-20 minutes. Just prepare a paste of rose water and aloe vera extract and apply this on face for about 20 minutes. Rinse off with cold water. This pack works as one fairness pack also. This paste must be massaged for around 2-3 minutes onto your face prior to rinsing it off to cleanse your pores of the face. Blend cucumber pieces to make a paste. Then, add aloe vera gel and rose water to this. Mix properly and later spread on your dark skin pigments. Allow it to stay for around 25-30 minutes. Lastly, wash off with lukewarm water. Boil leaf of aloe vera in water and next grind this to create a paste. Later add honey to this paste and now apply it on your face for about 20 minutes. Finally, rinse off using cold water. 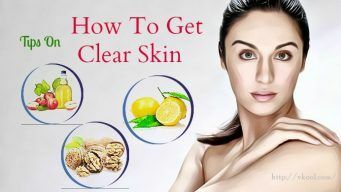 You should follow this remedy every week to treat acne prone, oily skin and also get a clear skin. This pack will detoxify the skin and freshen it. Blend this aloe gel extract together with cut mango fruit pieces. Add lime juice to this paste and next apply it on the face for 20 minutes before rinsing it using cold water. Make a smooth paste of cucumber juice, aloe vera gel, and yogurt. Add rose essential oil (few drops) or any other essential oil. Apply and allow it to sit for about 15 minutes before washing it with cold water. Blend 2 tablespoon each of aloe vera gel and cottage cheese. Add few seedless dates, a little of lemon juice, cucumber slices and blend again. You may also make the paste in bulk and keep it in your fridge for a long time. Apply this paste on the face and neck and allow it to sit for half an hour. Rinse off using alternatively cold and lukewarm water and finally again with cold water. Blend aloe vera gel and cucumber dices to form a paste. Then, add oatmeal to this paste and mix properly. Spread this paste gently on the face and later massage in circular motion. Allow it to settle for ten minutes or so prior to rinsing it off. First of all, add crushed almonds to this aloe vera gel and then mix properly to create a paste. Apply this paste on the face and neck and let it sit for 15 minutes before you wash it off. Mash aloe vera gel, shea butter and olive oil to create a paste and next apply on your face and neck. Allow it on for about 15 minutes before you rinse it with cold water. This way seal in the moisture into the skin and make it fresh and clean. Grind holy basil and margosa leaves with a little water. Then, add aloe vera gel to the mixture. Mix well. Apply this mixture on your affected area and let it dry. After that, wash off uisng lukewarm water. Mix aloe vera gel and granulated brown sugar together. Apply it on the face and then gently rub it in circular motions for around 3-4 minutes. 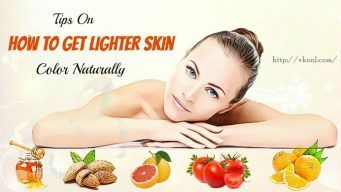 Particularly, papaya lightens the skin tone and provides you a radiant glow while aloe vera repairs your damaged skin. Blend ripe papaya and aloe vera gel in one blender to create a smooth paste. Massage this paste on the face and neck in an upward direction. Allow it for around 15-20 minutes. Finally, wash off using cold water. This mask has moisturizing agents that maintain your skin hydrated and inhibits dryness and flakiness. Mash a ripe banana. Next add aloe vera gel and almond oil to this. Mix thoroughly. Then, apply it on the neck and face. Allow it for half an hour. Remove this by rubbing gently. Lastly wash off using lukewarm water. Tomatoes are rich in vitamin C and A, which reduce acne blemishes and scars. Mix both the ingredients. Then, apply the mixture on the face. Now gently massage for around 2-3 minutes. Allow it on for about 15-20 minutes before you rinse off with cold water. The mask improves the elasticity and firmness of your skin, thereby preventing the appearance of wrinkles and fine lines. It also nourishes and moisturizes the skin. Crack an egg and next pour its content in one bowl. Then, mix aloe vera gel in this. Stir till you get one fluffy paste. Apply this on the neck and face. Allow it to dry for around 15-20 minutes. Immerse one cotton in cold water and then use it to remove this mask. Mix all ingredients exclude Vitamin E capsule. Next squeeze the juice from vitamin E capsule and then add to the mixture. After that, apply it on the face and neck. Allow it for around 25-30 minutes. Finally, rinse off with alternatively warm and cold water. Take honey (1 tablespoon) and mix it with turmeric (1 teaspoon). Make one paste by mixing and next add fresh aloe vera gel (2 tablespoons) into the paste. Then, apply this pack on the face and neck. Allow it for more than twenty minutes, and then wash off using plain water. Repeat it two times per week to notice reduction in scar, tanning, and pigmented skin. Take yogurt (2 tablespoons) and mix it with honey (1 tablespoon), you can raise honey if your skin is dry. Now take fresh aloe vera gel (2 tablespoons) and mix it together with red grape juice (3-4 tablespoons). Mix everything to have smooth paste. Apply this paste on the clean neck and face for around 20-30mins and lastly rinse off with water. This is a very great anti-aging face mask. This aloe vera face mask hydrates and relaxes the skin and speeds up or starts the healing of the sunburned skin. Put all the ingredients, exclude the cucumber, in one bowl and blend them till you get a nice smooth substance. Then, spread this paste gently and equally using a cotton ball or your fingertips on the clean face and neck; hold the eye area clear. Now wash it off using a warm cloth along with warm water, end with one splash of cold; pat the skin dry using a clean towel. Lastly, apply a moisturizer, this method you “seal” the skin to maintain the water inside. This amazing aloe vera face mask soothes and hydrates your skin. The cleansing and cooling cucumber softens and makes the skin suppler. Particularly, an acne rode, stressed and inflamed out skin thank you for applying this mask. Peel this cucumber, take out its seeds and cut this in pieces. Place the cucumber pieces along with this aloe vera in one food processor and then blend them till you get a nice smooth paste. Now spread this paste gently and equally using your fingertips on the clean face and neck; hold the eye area clear. Thereafter lie down, relax and allow the mask on for half an hour. Lastly, wash it off using cold water; pat the skin dry using a clean towel. This mask will make your skin moisturized and soft. Cut two slices from this cucumber, next peel the rest and cut this in pieces. Place these cucumber pieces in one blender and puree them till you get a nice smooth paste. Place this paste in one mixing bowl and add the aloe vera and oatmeal, and then mix this thoroughly. After that whisk an egg white slowly to this mixture with the help of a whisk or fork till you get an even substance. After that lie down, relax and allow this mask on for around15-20 minutes. Lastly, rinse it off using cold water; pat the skin dry using a clean towel. Mix the rosewater and French clay in a wooden, glass or pottery mixing bowl. Next slowly add the rose oil and aloe vera until you get a smooth paste. Allow it for a couple of minutes, so this clay may absorb the moisture. Spread this paste gently and equally using a facial mask spatula or brush on the clean face and neck; hold the eye area clear. After that lie down, relax and allow this mask to dry for about 15 minutes. Peel and cut this 1/4 cucumber into many pieces, put it in one blender and puree it. Next mash this 1/4 avocado and then add the cucumber puree, the green tea and the aloe vera. Mix it till you have a smooth and nice paste. Then, lie down, relax and allow the mask on for about 20 minutes. Now, wash it off using cold and warm water alternately and end with one splash of cold; pat the skin dry using a clean towel. Lastly, apply a moisturizer, this method you “seal” the skin to hold the water inside. Clean and soothe acne ridden skin using this simple honey, seaweed, aloe vera face mask. This will leave the face feeling incredibly soft, smooth and looking absolutely radiant. Warm up the honey till it becomes liquid by placing it in a small metal bowl or glass which is dipped in hot water. Mix this honey and the rest of the above ingredients, excluding the cucumber slices, in one mixing bowl until you get a smooth and nice paste. Allow it to rest for about 10 minutes, so this kelp powder may absorb the moisture. Thereafter lie down, relax, and allow the mask on for about 15 minutes. Rinse it off using lukewarm water; pat the skin dry using a clean towel. Mix and mash all of these ingredients, excluding the cucumber slices, in one mixing bowl till you have a smooth and nice paste. Then lie down, relax and allow the mask on for around 15 minutes. After that, rinse it off using warm and cold water alternately and end with one splash of cold; pat the skin dry using a clean towel. Lastly, apply a moisturizer, this method you “seal” the skin to hold the water inside. Take smooth substance of cucumber liquid, aloe vera gel and yogurt. Add few drops of jasmine oil. Then, apply and leave it to give its nutrition to the face for about 15 minutes before rinsing it with cold water. The mask will eradicate oil, impurities, and dirt through the skin, making the face glow with one new life. Add 1 tablespoon of the aloe vera gel to milk cream (2 tablespoons). Put turmeric (a pinch) to the wonder paste and then apply the pack on the sensitive neck and face. Allow it for half an hour and finally wash with cold water. This gel contains vitamin C that provides fairness to the face and milk cream hydrates the skin. 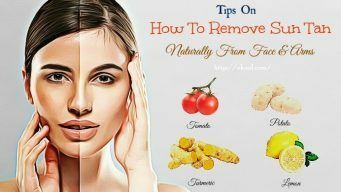 The healing turmeric adds fairness to your face. Mix honey (1 tablespoon) with yogurt (2 tablespoons). Add aloe vera gel (2 tablespoons) to this mixture and stir well. Next add red grape juice and then mix for one smooth paste. Apply this paste on your neck and face. Finally, rinse off using water after about half an hour for best anti-aging results. Place 2 cucumber pieces in a blender. Then, squash them to one smooth paste. Pour out this paste into a bowl. After that, add aloe vera (2 tablespoons) and oatmeal (2 tablespoons). Now, whisk an egg white into this paste and make this even. Apply this paste on a clean face and neck. Rinse off using cold water after about 20 minutes. Add two tablespoons of store-bought or freshly prepared aloe gel. Then, apply this mask to your face. Allow the mask on the face for 20 minutes. Now, rinse off the mask using warm water and then pat dry with one towel. Finally, apply a moisturizer to your skin, if desired. To get more information related to effective ways and recipes for skin care, go to our main Home Skin Care page. After studying the writing of natural aloe vera mask: 31 homemade recipes, hope that this article will help you learn more many easy and simple ways to make an aloe vera face mask. If you have any question or comment, please leave them below, I will respond you as soon as possible. Also, you can share the experience if you know any other aloe vera face mask recipes to us.